When the Santa Susanna’s annual celebrations are approaching, something changes in the streets and in the people. Something floats in the environment, mixed desire with the salty air, that illusion for something so ours and so of all at the same time. A way to get together, to go all to one, to have fun, longing to forget everything and live this part of the summer with enthusiasm. In Santa Susanna we take care in detail of these days and all the activities that are carried out during those days have been designed thinking that there is a space for everyone. So, we leave here for four of the activities that you can not miss and that are part of the emblem of our town. We hope you enjoy all of them. 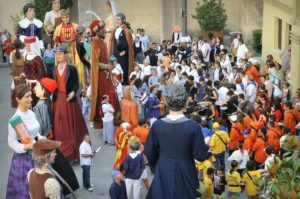 At 6:00 p.m. the 20th Meetings of the Giants will take place in the Park of Colomer. We will celebrate all together the 20th birthday of Sidru and Susanna. As a curiosity, do you know how much our most famous giants measure? Sidru, more than 3.48 metres and Susanna, 3,37 metres. Come and meet them! 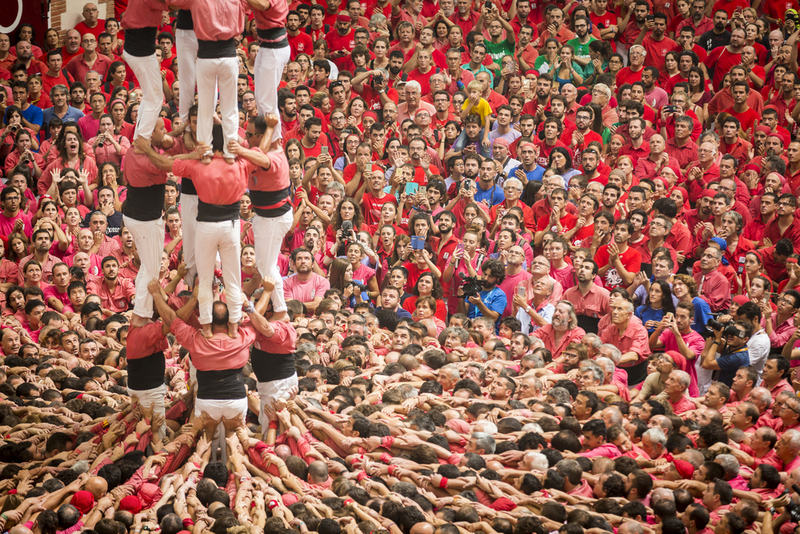 At 8:00 p.m. in Plaça Catalunya, the performance of the Castellers de l’Alt Maresme will take place. 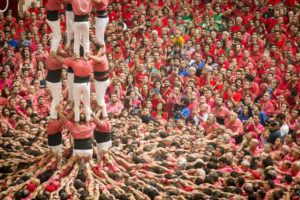 It is a unique spectacle typical of our country, a juggling of people who will delight you with an impressive and charismatic human construction. At 11:00 p.m. Igual fireworks will take over at Las Dunas Beach a pyrotechnic show, without a doubt different: The Great Fireworks Castle. As more word we say, we can’t describe its beauty, so check yourself and enjoy a magical night! Also, from 10:30 p.m. and from the Can Feliu bus stop, there will be a shuttle service. 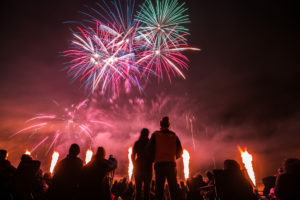 And this day, at 00:30 a.m. the Verbena of August will be held on the same beach, with the performance of Apache group. Yes, the best group of versions of the country will make us spend a rock night with their best version of the history of international rock. Of course, it goes without saying that these aren’t the only activities that will take place in Santa Susanna these days. 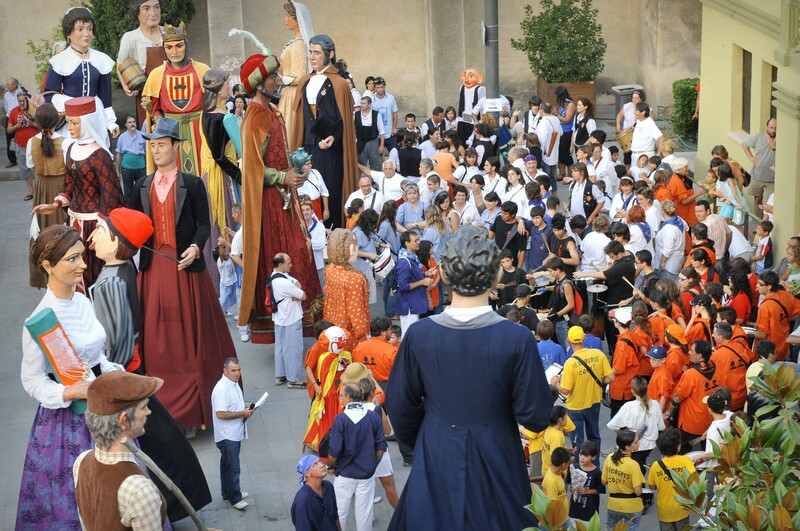 It is enough to consult the program of the Santa Susanna’s annual festivities to see al the options that are offered. https://bit.ly/2uPDOPv. You are all invited to live with us these special days so ours.